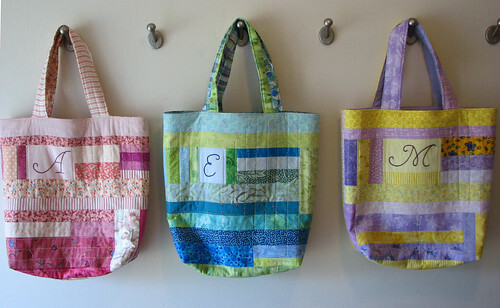 These are three scrappy, quilted tote bags I made for three little girls I know. 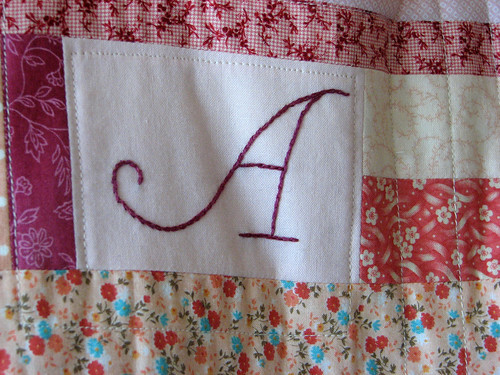 They are personalized with each girl’s first initial in some hand embroidery. These were super fun to make. 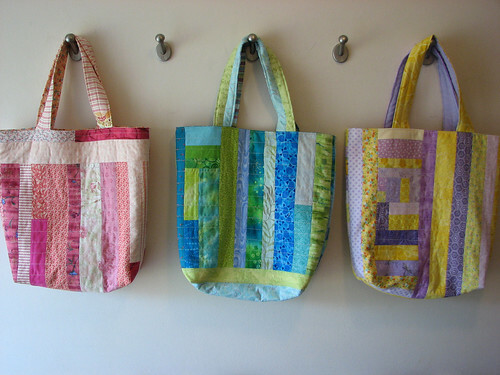 I like piecing without a plan. Unfortunately, I just about depleted all of my yellow and purple stash. Obviously, I did not have much to begin with. I never seem to have enough of those two colors.